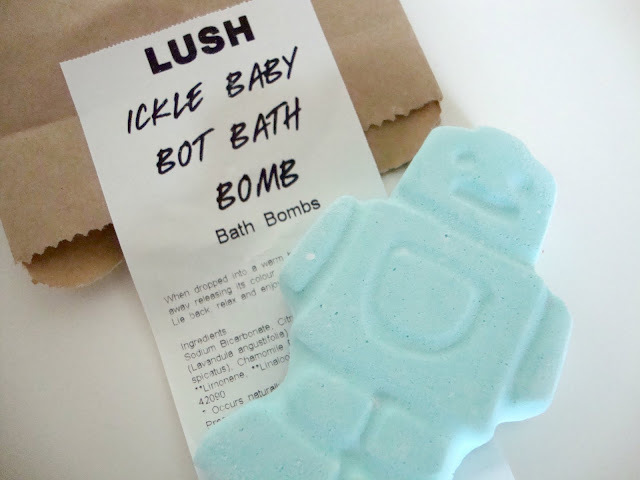 Ickle Baby Bot is actually a bath bomb aimed for children to be used before bed to help them sleep but as it seems to be the only bath product without glitter, petals or a strong feminine scent, it has long been the bath bomb of my choice. 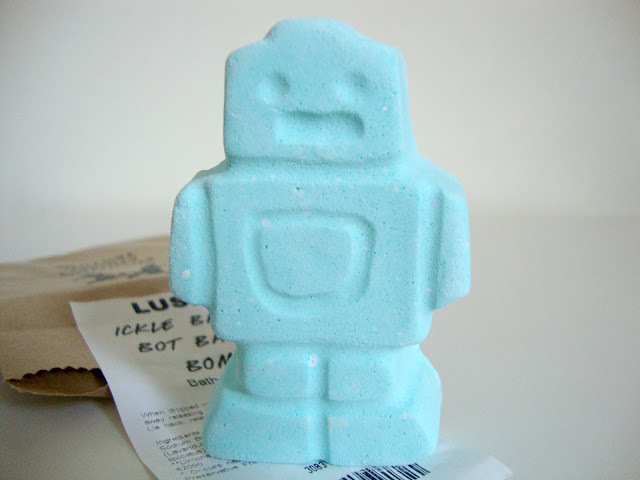 I also buy Ickle Baby Bot as it's delicate to skin and as I suffer with dry skin, irritations and eczema, I find that it doesn't cause any problems or flare ups. It contains Chamomile Blue, Lavender and Sandlewood aromatherapy oils so it's also great for when you need a relaxing evening which is when I usually find Alice has used my last one. What's your favourite bath bombs from Lush?